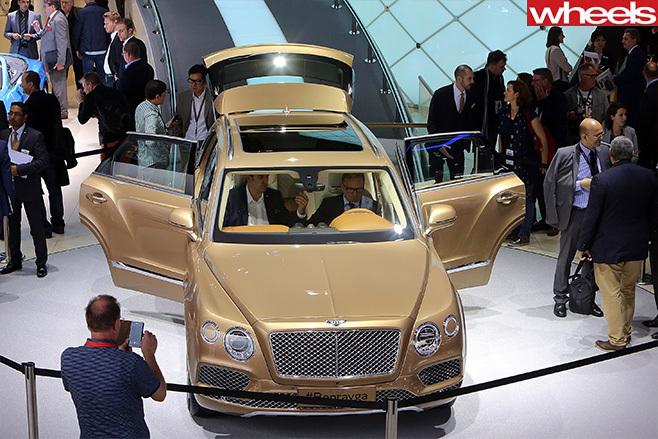 FRANKFURT 2015 showed one thing: the SUV is the king, globally. No longer do we see a plethora of odd regional models at each show: the all-pervasive SUV now invades the space of hatches, sedans and even sports cars. I hate it. A sunburnt orange Bentley Bentayga almost made me choke on the obligatory currywurst served up at the VW stand, and not just because of the colour. The press material ahead of the show bragged about it being the world’s fastest SUV, at 301km/h, by a single kilometre over the Porsche Cayenne Turbo. Yep. Okay then. At least the Jaguar F-Pace SUV over in Hall 5 was a handsome thing, even if it couldn’t match the elegance of the XF sedan that it shares its platform with. 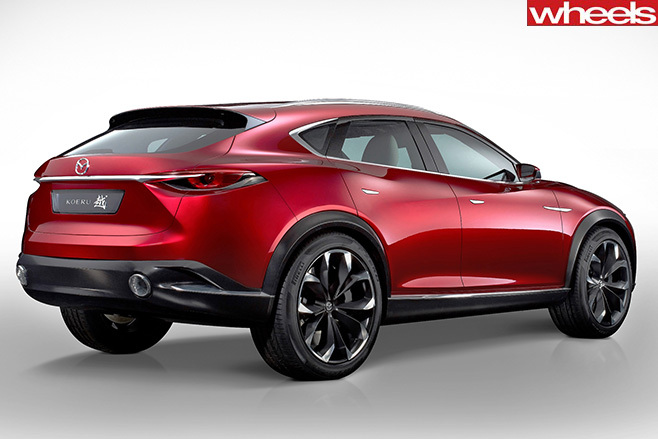 Yet the rumour is that Mazda had Frankfurt down for the relaunch of its high-performance MPS models – but decided that the swoopy roof SUV was more important. The MPS 3 was rebuffed for the Koeru, and put on ice – even if there’s some respite in that a rotary-powered Mazda will be at the Tokyo show next month. That says nothing is sacred. Further proof came when we sat down with Jerome Stoll, Carlos Ghosn’s right-hand man at Renault-Nissan. First of all, who wants a Z-car that’s an SUV? The Gripz has no lineage to the legendary Z-cars – from 240Z through to the 370Z it’s allegedly replacing – and is no Fairlady (proper Z enthusiasts will understand). An SUV is a small truck, if I remember correctly. A Nissan Z-Truck? 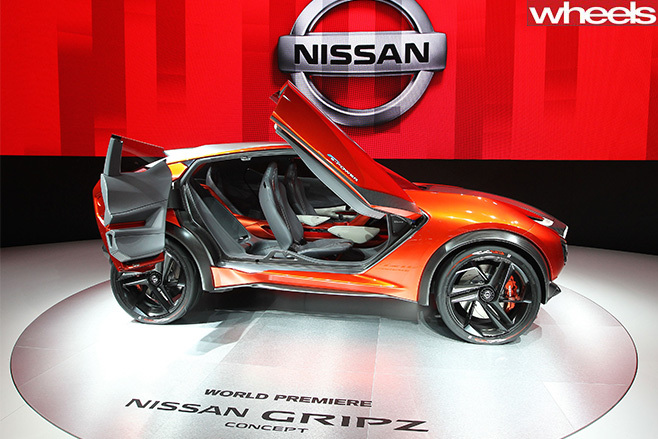 The Nismo Juke with the GT-R engine sold in the UK was cool, but killing a coupe for an SUV? At least Porsche still sells the 911. There’s more evidence on the Renault side of that conversation, too. Stoll told us that RenaultSport was under pressure to expand, something backed up by its sales and marketing director, Regis Fricotte, on the second day of the show. Regis told us that RenaultSport plans to double its global sales, currently around 35,000 a year, by 2020. How? 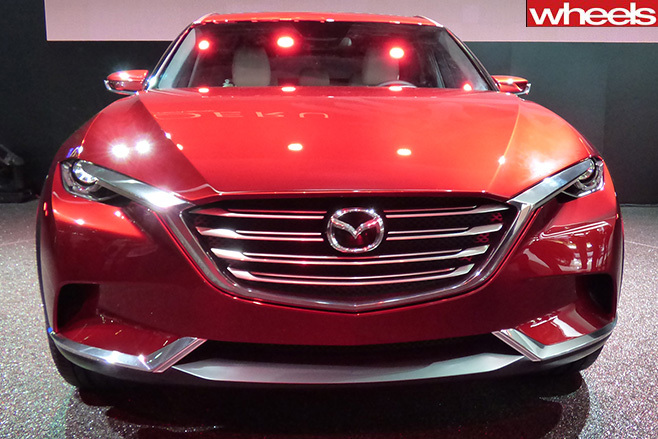 By expanding its current line-up from two models. And, if you’re a purist who scoffed at the RenaultSport Clio no longer being offered in manual or with three doors (for the latest generation), best call an ambulance now. Because what else could Dieppe offer? A RenaultSport SUV (gulp). It’s simple. Perhaps it will share the same platform as the Gripz, but here’s what we know about RenaultSport. We visited its Dieppe factory before the show, which we’re proud to report had many right-hand drives with AUST as their final destination on the line. Capacity? Up to 200 cars with multiple shifts, more realistically 70 per shift. The current output is 30 RS Clios per shift (and 20 EVs for a French car-sharing scheme), and one shift per day. That leaves enough room for another niche model, say, sharing the same platform as the Clio, which sells really well. That’s right, the Captur – already a Clio on stilts. Captur RS could use the same F4RT 1.6-litre turbo four already being shipped from Nissan’s Fukushima plant to Dieppe for the hot Clio, and would be extremely cost effective. Accountants and people who like to sit in high chairs will love this plan. On top of that, with Australia the RS’s second-best market after Japan, and the popularity of B-segment SUVs, it could be our own fault. We’ll buy it. There’s something worse than this. Legendary brand Alpine – LeMans winning, 1973 World Rally Champion and France’s Ferrari – could top-hat its own body onto this to create an Alpine SUV. Ferrari has ruled out doing an SUV but neither Alpine boss Bernard Ollivier nor RenaultSport’s Fricotte would rule out an SUV when asked. So when will the LeMans 24-hour be a race between hybrid SUVs? As soon as race cars need ISOFIX points.